Need a Portland Moving Company? Finding a Portland moving company you can trust isn’t easy. Whether it’s for your home or business, moving is stressful and movers handle valuable equipment and personal items. You need a reliable moving company that you can trust. Smooth Move People is a fully licensed and insured moving company that Oregonians can count on. Our business is family-owned. Our staff and clients are part of the same community. We aren’t a large, national company. We’re local. Our full-service moving company has been operating in Portland, OR since 1989. We bring the boxes and packing material. We pack your stuff, carefully wrapping, securing and organizing boxes and furniture. We load everything in the truck and move it to the new location. We unload and unpack, placing each item where you ask us to. You don’t need to lift a finger if you don’t want to. All you need to do is schedule the move and sign a few papers. If you’re still comparison shopping, give us a call. We can already tell you that we’re the most affordable moving company in Portland, OR because we use the lowest prices Oregon Department of Transportation allows. Tell us about your move, and we’ll give you an estimate. Most people consider relocating to be a joyless bore or a stressful hassle. Maybe we’re weird (we are Portlanders, after all), but we enjoy moving. We like what we do because we’re good at it. Our movers have strong backs and mad skills. They can turn a truck on a dime and safely navigate it through Portland’s busy streets. They can carry a bulky sofa up a narrow stairwell with nary a scratch or scuff. But here’s the real reason we’re in the moving business: we like helping people. Our moving services make life easier. We offer our customers great prices. Our overhead is low because we own our equipment. We’re happy to pass the savings to you, our Portland neighbors. Did you find a great condo in The Pearl? Making the leap from East Portland to West? Finally purchased your dream home in Belmont or found the perfect apartment downtown? We can help you make your local residential move to a new neighborhood or just down the street a breeze. From packing to unloading, we can take care of all of it, making your life infinitely less stressful, so you can get out to properly exploring your new location or hitting up your favorite restaurant, sooner. We are a local moving company who knows Portland, so you won’t have to feel the frustration of following around a moving company driving in circles looking for a place to park or just completely driving by your new place. Packing is just as much work whether you’re moving a short or long distance. In either case, you’ll want a moving company that’s fast, efficient and careful. We can pack just about everything that makes a house a home. Our people will move washing machines and beds. They’ll pack dishes, spoons and forks. Do your kids have a lot of toys? We’ll get the baby dolls, board games and basketballs into boxes and onto the truck. Is there anything we can’t move? Yes. Pets, plants and certain valuables that should be handled only by you. Give us a call to learn more about what we can and can’t do. Additionally, we will bring all of the packing and packing supplies you could possibly need like boxes, tape, paper pads, and shrink wrap, so no multiple trips to the store after you’ve run out of something or if you just forgot it altogether. We’ll take the guesswork and little annoyances out of packing your home up into boxes. You’ve found a bigger office that’s better suited to your company, which is fantastic, but then you realize you have to actually move everything in your office. We can do that for you. Smooth Move People will go above and beyond what you might expect from a moving company. We will handle your sensitive equipment like computers, art, coffee makers, and fax machines with the utmost care. We also know that desks, couches, and tables don’t always fit through doorways as is, and so we will disassemble and reassemble the furniture that requires it. We can navigate winding staircases and elevators like pros, because well, that’s exactly what we are. Whether you have ten employees or one hundred, we can handle your move. We have the personnel, equipment, and experience to move your office quickly and safely. 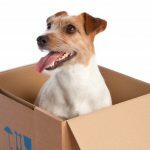 If you’re relocating from Seattle to Portland or from Salt Lake City, or have made the difficult decision to live Rose City for the East Coast or the Midwest, Smooth Move People can handle your long distance move for an unbelievably affordable price. When you relocate hundreds to thousands of miles away, you’re making a huge change that comes with a lot of stress. By letting us handle your move, you’ll be getting the small town, neighborly treatment and prices, with the expertise that you’d expect from Smooth Move People, making moving one less thing you have to worry about. And if that doesn’t convince you, we also offer a free insurance policy so you can trust your belongings are protected. We know how to safely and efficiently load a truck, and when we get to your new home, we can unload it and place everything exactly where you were envisioning it. No more potential back strain or broken items that were dropped after an unfortunate tripping incident. By having a professional service load and unload your boxes and furniture, you’ll get a truck that’s space is used to its maximum potential so fewer trips back and forth between your old place and your new one. Let us do the heavy lifting. You just tell us where to put it. We make moving easier. If you’re moving offices, neighborhoods, or even states, Smooth Move People have you covered. We take care of the hard part of moving so you can focus on the positives: an awesome new home with all your favorite things safely in place. Contact us today for a free estimate on your next move.